Twenty-two students from 16 high schools spent the week at Point Park for the University's Fourth Annual Accounting Career Awareness Program, held on campus June 26 through July 1. "We had a terrific program this year! The students were highly engaged from start to finish and the workshops were the most interactive between students and presenters since inception of the program," explained Edward Scott, C.P.A., M.B.A., Point Park's George Rowland White Endowed Professor in Accounting and Finance and chair of the Department of Business. Scott began ACAP at Point Park in 2013 and continues to lead the program each year. Part of the National Association of Black Accountants, Inc., ACAP's goal is to increase understanding among high school students in underrepresented minority groups about the field of accounting and its career opportunities. "I decided to come to ACAP because I'm really interested in business and my teacher recommended I come here. I have enjoyed learning about the different areas of accounting and participating in the business etiquette dinner," said Anai'ya Jones, a junior at Urban Pathways Charter School. During the six-day program, the students traveled to public accounting firms Ernst & Young and Sisterson & Co. LLP to see first hand what it's like to work in the field. New this year, the students also visited Massaro Construction Group and learned how accounting benefits all aspects of an organization's operations. Additionally, students heard presentations from and engaged in workshops on campus with accounting, finance and business professionals from KPMG, Maher Duessel, National Association of Black Accountants Pittsburgh Chapter, PNC, Schneider Downs, Tyler Collier and Associates LLC, UPMC and more. Bowling, laser tag and an evening trip to Kennywood Amusement Park were among the recreational activities mixed in throughout the week. Several Point Park students volunteered their time to serve as team counselors and mentors at ACAP. Among those were Gabe Dubin, a senior accounting and intelligence and national security double major and Darnita Holmes, a transfer student and junior accounting and information technology double major. "I like helping younger students and believe in NABA's motto, 'Lifting As We Climb,'" remarked Dubin. "My favorite part of ACAP was the site visits. We prepped the students to ask the professionals we met with great questions and this group really delivered on that." "I love to volunteer and decided to become involved with ACAP after learning about it through the National Association of Black Accountants and Professor Ed Scott," said Holmes. "I was impressed that as the week went on, the ACAP students asked more and more accounting-based questions. You could tell they were really soaking up what they were learning." At this year's closing ceremony and dinner, cash prizes were awarded to the top three teams who presented the best accounting business plans. Individual outstanding performance awards were given to Ashley McGee from Imani Christian Academy, Paige Johnson from Lawrence High School and Anne Darla Pamphile from Propel Braddock Hills High School. "This week has offered me great exposure to things like balance sheets and income statements as well as the vocabulary used in accounting," remarked Johnson. Johnson's mother, Robin, emailed Scott this feedback soon after ACAP ended: "Thank you for the transformative ACAP program. Paige had an outstanding time, loved Point Park University and the city of Pittsburgh!" Jared Washington, a junior from Sewickley Academy, was also recognized at the closing ceremony for submitting a Notice2POTUS essay to The White House. "What grabbed my attention about ACAP is that you get to talk directly with accountants in the field. My favorite part of ACAP was the workshops. The presenters gave us great tips and advice," remarked Washington. Kira Lester, a junior at Highlands High School, said: "I really enjoyed all of the life lessons and challenges I went through this week. It has also been great to meet new friends and learn how to network." 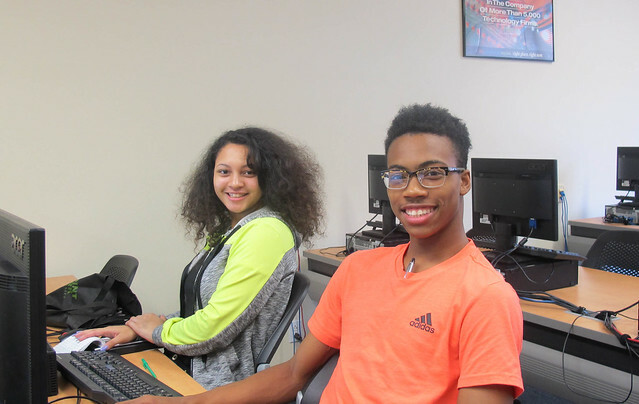 Omari Slocombe, a senior at East Stroudsburg High School South, added: "When I came into this program I was unsure whether I wanted to pursue an accounting or finance career. The many workshops, presentations and firm visits gave me an idea of what real world accounting is like. I am now looking to pursue a career in accounting, possibly auditing." In the near future, Scott hopes to provide year-round activities at Point Park for high school students interested in accounting and other business fields. "I look forward to continuing to work with our ACAP students to build their skills and to prepare them for great careers," he said. Point Park University offers undergraduate business degrees in accounting, business management, economics and finance, information technology, organizational leadership, public administration and sports, arts and entertainment management. To learn more, visit the undergraduate business majors page, request information or schedule a campus visit.